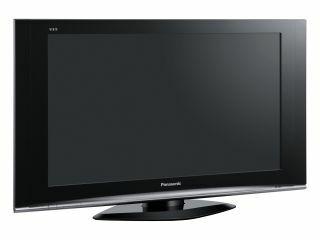 Panasonic is dropping plasma TV technology from its 37-inch flat panel TVs, and is opting for LCD tech instead. The move may not sound like much, but it does mark a significant shift in attitude from Panasonic - it has always used its own plasma technology for TVs over 32-inch in size. LCD panels have been limited to 32-inches or less. The 37-inch TX-37LZD70 is 1080p Full HD capable and will carry Viera branding. Panasonic says it has made the move because it now feels that LCD tech is finally good enough for bigger Full HD sets - its attitude stands in stark contrast to some its rivals. Sharp, for example, only makes LCDs and it currently has models ranging from a tiny 12 inches to a whopping 108 inches in size. The TX-37LZD70 features Panasonic's proprietary V-Real Pro 2 technology which - along with IPS Alpha full HD panels - "assures superb viewing from any angle," Panasonic says. We'll bring you more details and UK launch details as soon as we can.